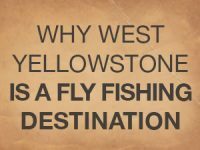 West Yellowstone is the perfect home for me because of its great location to fantastic year-round fly fishing—I can leave town in any direction and be headed toward an incredible trout fishing destination. Surrounding areas include every size of river, from wadable freestones to larger tailwater rivers that can be drifted by a hard-sided boat or a raft. We also have exceptional small stream fishing. Including several creeks to hike to in the Custer Gallatin National Forest as well as inside Yellowstone National Park. Not to mention Hebgen Lake in Montana and Henry’s Lake in Idaho. 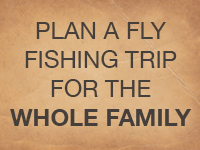 Which offer access to stillwater fishing almost year-round! A variety of opportunities provide the chance for everyone to experience the magic of a day on the water. If you are just getting started, skilled fly fishing guides can teach you how to catch fish and introduce you to the local waters on guided trips. All the equipment and supplies you’ll need for your excursion can be rented from local fly shops and outfitters. A seasoned angler, can be challenged by some of the trickiest fishing situations imaginable or experience willing fish in spectacular scenery. You’ll also have the chance to target almost a dozen different species of trout-related fish. With the variety of elevations in this region comes a diverse collection of environments. Almost all of which have fish populations. Rainbow, brown, lake, brook, Yellowstone cutthroat, westslope cutthroat, Snake River cutthroat trout, mountain whitefish and Arctic grayling, all live in the waters surrounding West Yellowstone. The pursuit of this array of fish species will take you on the adventure of a lifetime. Whether it is a fishing trip inside Yellowstone National Park or in the surrounding forests, you will be in awe of the breathtaking scenery of our area. If you include a little preparation before your fly fishing trip, consult with a local, and bring your sense of adventure. You will have an outstanding time pursuing your fishy dreams with your family and friends in West Yellowstone, Montana.